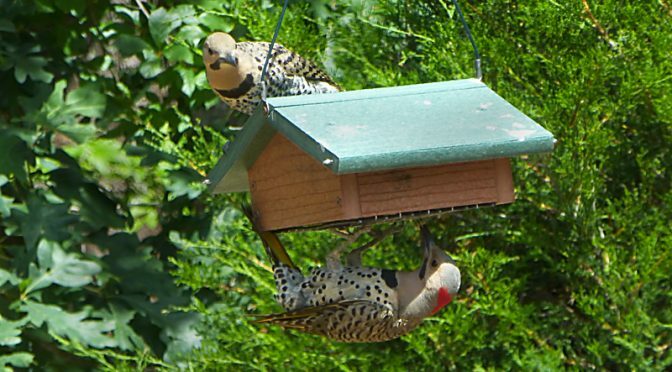 It’s so funny to see the 2 Northern Flickers sharing the suet in our backyard. 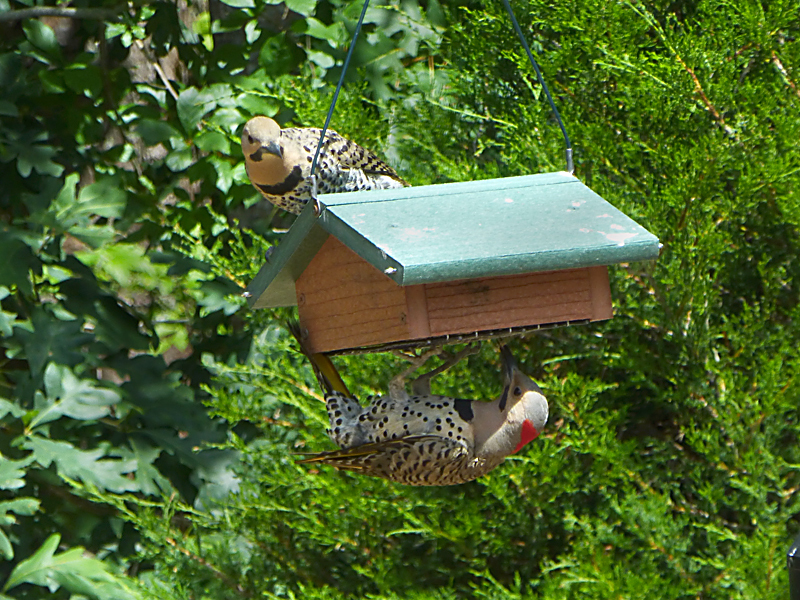 One hangs onto the bottom and feeds while the other waits patiently for his turn. They really are so cute! And so polite! The teamwork of true acrobats!